Water is a basic need for well being, cleanliness and health in all sectors. 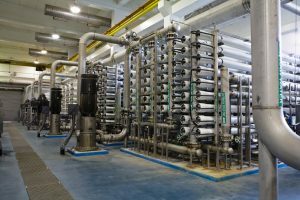 The water treatment process may be different depending upon the application and the water treatment requirements, however the fundamental standards to water purification are the same. Our AquaPūr™ (pronounced: Aqua Pure) Reverse Osmosis System is a self contained RO Water Production Plant that produces ultra-pure water. The AquaPūr™ Reverse Osmosis System (RO) Water Plant has the lowest operating cost compared to any RO water plant technology. Advanced membrane technology ensures the highest purification and unmatched quality and taste. With the use of our PV Solar Tracking system, the AquaPūr™ RO Water Plant can run 100% on solar energy – saving thousands of dollars on operating costs per year. 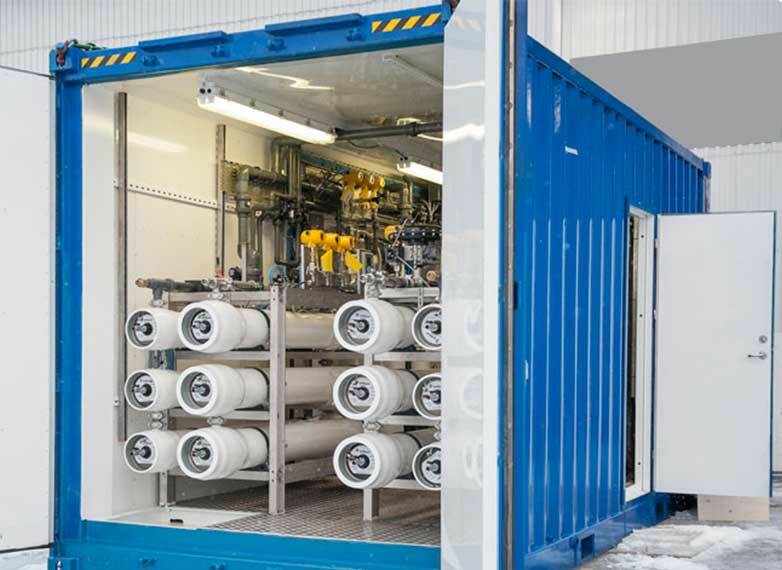 The AquaPūr™ water plant has been designed as a modular container for easy expansion and mobility and is ready to produce high-quality potable water within days of delivery. The AquaPūr™ RO Plant is designed in a ready-to-use container can produce drinking water from different sources. Having a pre-fab system drastically brings down installation cost and water treatment system cost. The water plant has been designed as a modular container for easy expansion and mobility and is ready to produce high-quality potable water within days of delivery. The solar concentrator can be used for reverse osmosis desalination plants to increase the temperature of the water running through the membrane and increase production efficiency (membrane capacity) of 30% can be achieved. The report on the Performance of Reverse Osmosis Units at High Temperatures presented actual data from Riyadh, Saudi Arabia to prove that considerable savings in water production can be achieved by increasing water temperatures.